Learn these habits now and become unstoppable. There is a war raging inside you. Your desires, your beliefs, and your drive PULL you toward your goals... toward abundance... toward inspiring achievements. But as soon as you start to make any progress...your mind PUSHES you back! Make Your Mind Say Yes! You want to increase your income without sacrificing your family or your free time. You want to expand your sphere of influence and make a bigger difference in the world. You want to stop engaging in destructive behaviors that sabotage your happiness, and replace them with life-enriching choices. But your subconscious mind says "NO"… making you feel stuck. Leaving you to wish, hope, and settle. But settle no more, because today there's a NEW, simple way to put an end to this internal war. A lot of people teach how to become successful… but that knowledge is rarely enough to combat the unbending unconscious habits of your mind. If you are serious about finally making your hopes and dreams your everyday reality…you must first learn how to ALLOW YOURSELF to become successful. You will meet, attract, and create deep bonding and mutual beneficial relationships with family, friends, and colleagues. yourself and your family, while at the same time you will become more fulfilled through your career. You will gain a new sense of value and appreciation for who you are, leading to heightened levels of energy, genius, and creativity. Your self-esteem, self-worthiness, and self-reliance will be unmatched. What will you do when things go wrong? How will you keep your website current? Find out by reading about website upkeep. Tim was doing electric work in an elderly woman's home. He noticed that every 10 minutes, she went outside to smoke. After the fifth time, he asked her if she had ever thought of quitting. She nodded, "Every day for the last 20 years." She had tried patches, pills, hypnosis, everything. She wanted to quit, but her brain — her unconscious habit — wouldn't let her.Tim asked her to try once more. But instead of medicines or therapies, he would appeal to her mind using one of the Power Habits. He asked her to write one simple question on a piece of paper, put it on her refrigerator, and look at it just twice a day. She obliged. Returning to her house five weeks later, Tim noticed she didn't go out to smoke even once. Later she confessed, "I don't know why it was so easy to quit this time!" Brandon, an insurance salesman from Utah, had spent more than $30,000 on self-help books, CDs, and seminars and even became certified as a Neuro-Linguistic expert… yet he made only about $1,500 a month. By year's end, his personal income increased by 560%, and he was named agent of the year. What's more, in less than 40 days after learning the Power Habits, Brandon met the love of his life! From 20 years of chain smoking to easily QUITTING… by simply reading a question. 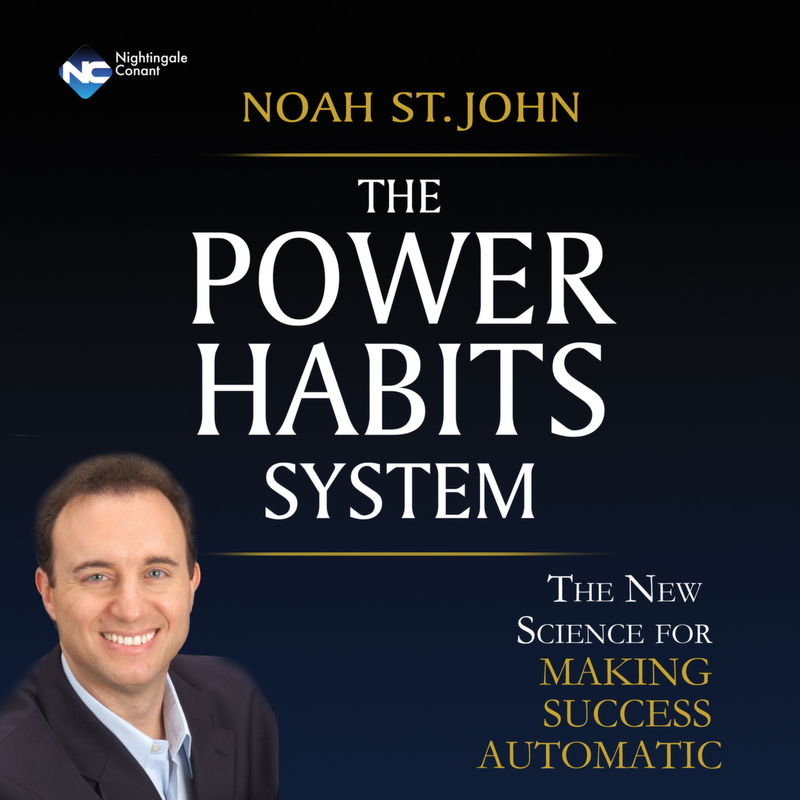 THE founder of the peak performance consulting company Success Clinic International, he discovered the essential, and previously unknown, Power Habits. Noah has appeared in more than two thousand media outlets, including CNN, ABC, NBC, NPR, Parade magazine and The Washington Post. His Power Habits erase the destructive habits that you aren't even aware of! What he discovered — and what has been proven by THOUSANDS of people who have turned around their businesses, relationships, and financial futures — is a proven way to permanently replace your bad habits with the Power Habits that will launch you to a new level of living in this complex world. By eliminating the causes of self-sabotage and the unconscious habits that stop you from achieving your goals, not only do you reach your goals faster…your success becomes automatic and inevitable. Why put off taking your life to the next level? 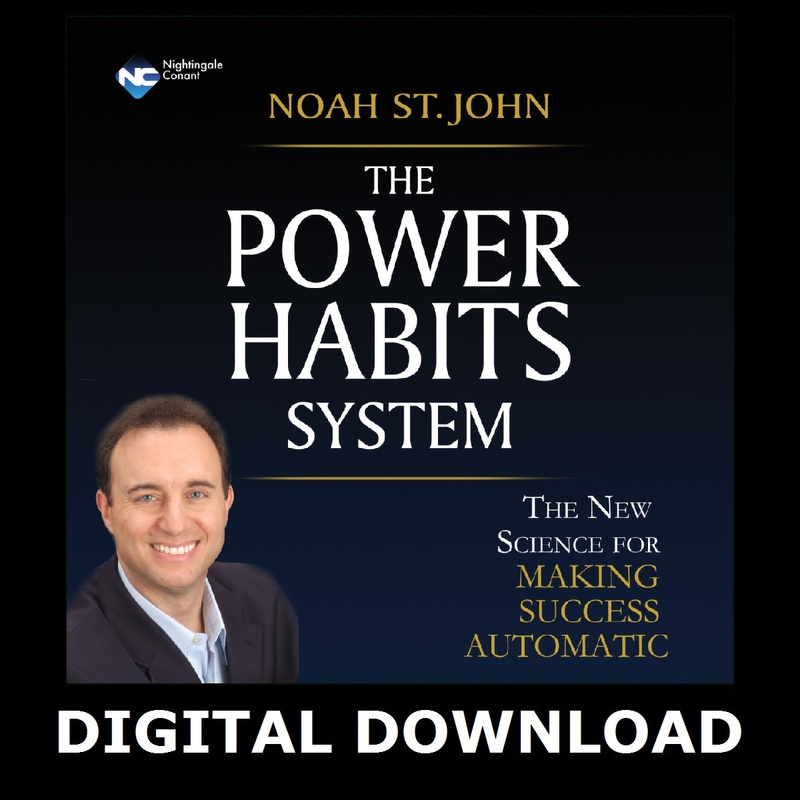 You can buy The Power Habits System Digital Download right now for only $39.95.